Trenton, N.J. — The New Jersey Board of Public Utilities (NJBPU) took significant action as it unanimously approved an order opening an application window for 1,100 megawatts (MW) of offshore wind capacity. The 1,100 MW is the nation’s largest single-state solicitation of offshore wind to date and is the first step in meeting the state’s goal of 3,500 MW of offshore wind by 2030. 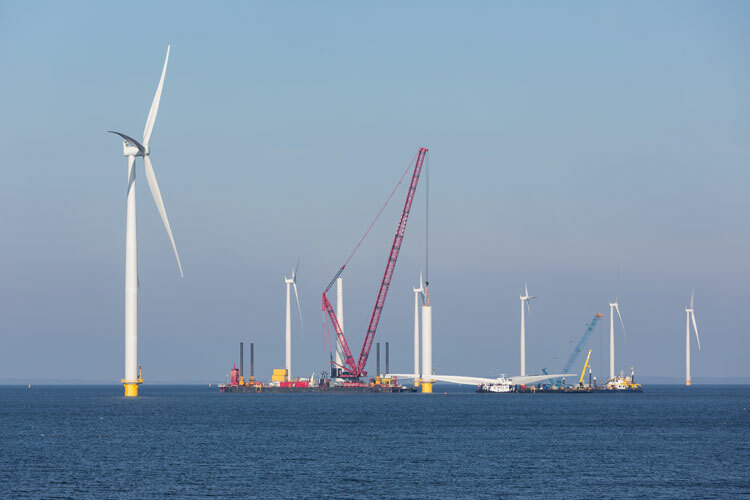 The vote occurred just days after Governor Phil Murphy called on the Board to open two additional 1,200 MW solicitations of offshore wind capacity — one in 2020 and another in 2022. These actions mark a significant leap forward in achieving the Governor’s vision to transform New Jersey into a 100-percent clean energy state by 2050. “Today’s action marks an historic step in the implementation of Governor Murphy’s clean energy agenda. Offshore wind energy will help drive down our dependence on fossil fuels and reduce greenhouse gases that cause climate change while creating jobs and providing a boost to the economy,” said NJBPU President Joseph L. Fiordaliso. “The opening of the 1,100 MW window, coupled with the Governor’s announcement for the deployment schedule for the full 3,500 MW solicitation, provides unparalleled certainty and incentive for developers and manufacturers to anchor a supply chain right here in New Jersey that can serve the entire eastern seaboard,” President Fiordaliso added. The Board’s action will allow developers seeking to build offshore wind facilities in federal waters to submit applications for approval. The application window begins on September 20, 2018 and closes on December 28, 2018. The Board intends to act on the applications by July 1, 2019, which should provide sufficient time for developers to qualify for federal investment tax credits that expire at the end of next year. These credits could save New Jersey ratepayers approximately 12 percent of the total project cost. The NJBPU will issue a Guidance Document as part of the release of the Board Order that helps developers calculate net economic benefits. The Guidance Document also provides the formats to be used for submittal of the information required under the Offshore Wind Economic Development Act (OWEDA), as well as the evaluation criteria and the solicitation schedule. The timeline provides key dates including the Technical Bidder’s Conference and meetings with Rate Counsel and NJBPU Staff. Today’s Order and Guidance Document resulted from a robust public input process. Additionally, as part of New Jersey’s offshore wind program, the NJBPU proposed a rule at its July meeting that would enact an Offshore Wind Energy Certificate (OREC) Funding Mechanism that establishes how an offshore wind project is funded and how revenues earned from the project would flow back to ratepayers. The OREC rule proposal was published in the New Jersey Register on August 20, 2018 and public comment will be accepted until October 19, 2018.